Heritage Trail Apartments in Terre Haute, Ind. 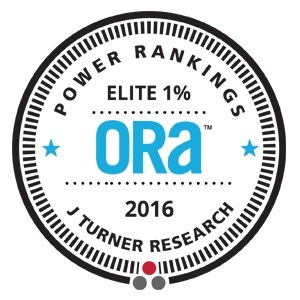 and Bradford Place Apartments in Lafayette, Ind., both managed by Buckingham Companies, received J Turner Research’s annual Elite 1% ORA™ Power Ranking award for 2016 for their superior online reputation. Because residents at Heritage Trail and Bradford Place are highly satisfied with their team’s customer service and shared their positive feedback through online review websites, both properties have been recognized by ORA™, Online reputation Assessment, with this Elite Ranking. There were 699 properties that made the Elite 1% ranking list in 2016. J Turner Research determines who makes the list through extensive reputation study across all review websites for more than 63,000 properties nationwide. In order to be included in this ranking, a property should have registered a minimum ORA™ score of 86, based on a scale of 0-100 that is an aggregate collection of the property’s rating across all review sites, with a minimum of 20 online reviews completed. Both properties were one of 14 Indiana locations to make the list with Heritage Trail receiving a score of 86 and Bradford Place an ORA™ ranking of 88. The ORA national average is 57.5. This score serves as a benchmark for properties and portfolios to compare and contrast with each other nationally and regionally. If you would like to learn more about ORA™, please visit their website. To view the complete list of properties who received this award, please visit here. This is a very prestigious honor in the multifamily industry and is a direct result of Buckingham’s commitment to improving customer service company wide. Buckingham’s customer service strategy includes a robust resident survey program and detailed management of each community’s online reputation, including social media platforms and search engine reviews. If you would like to learn more about Buckingham Companies and our properties located throughout the country, please visit www.buckingham.com. Congratulations to the teams at Heritage Trail and Bradford Place for setting the bar high for 2017! We love our residents and appreciate their returned appreciation to us through online reviews.